Hornsby Massage Clinic brings a new style and standard of remedial massage to a crowded field of Hornsby & upper north shore massage. 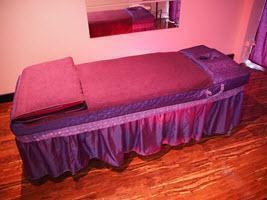 With 3 spacious massage rooms there is generally no need for an appointment. Conveniently located close to the highway just south of Westfield, drop by between meetings or after work to relieve the day's stress. Have a relaxing shower before and/or after your treatment. Looking for a good strong therapeutic or relaxation massage? 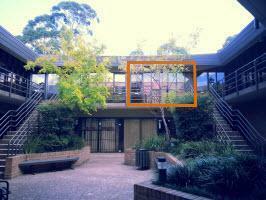 Directions: At the rear of the Hornsby Professional Centre. Enter the courtyard and Suite 102 is up on Level 1 between the two staircases - see photos below. Phone: (02) 9477 7214 or 0451 886 065 Direct dial with click on mobiles. Speciality: Chinese and Thai style therapeutic and relaxation massage. Parking: Plenty under and behind building. Enter driveways as you approach building on the left - underground before the building, above ground immediately after. Public Transport: Just a few minutes walk from the railway station - head towards Westfield on the highway, cross Edgeworth David Avenue then turn left. See map below. 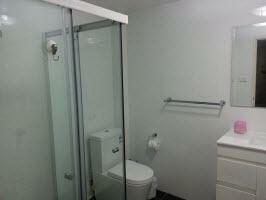 Bathroom: Modern shower & bathroom facilities available. Premises: Very spacious, modern & clean. Air-conditioned for your comfort. 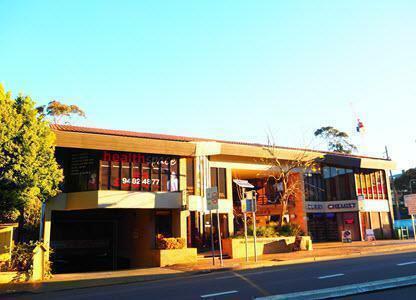 Looking for best massage on the upper north shore near Hornsby, Waitara, Asquith, Wahroonga? Call (02) 9477 7214 or 0451 886 065 Now! *Direct dial with mobile phone browsers - Firefox / Chrome.